The dorsal abdomens of adult apterae of Brachycaudus lychnidis species group (Brachycaudus klugkisti and Brachycaudus lychnidis sensu stricto) have an extensive solid shiny black shield (see first picture below) with the underside red-brown. 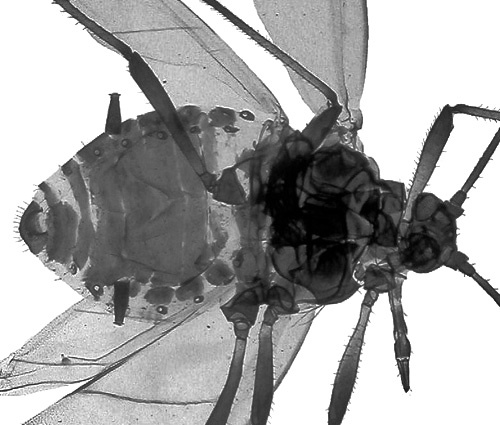 Their median frontal tubercle is about as high as the antennal tubercles. Their antennae are 0.6-0.8 of the body length. 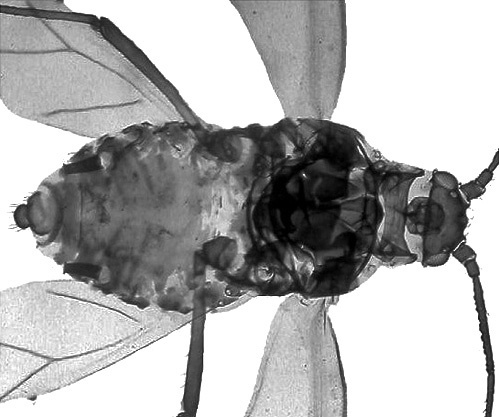 Their legs have the fore femora pale with dorsally dark apex; the hind femora are dusky with a pale base and the tibiae are pale with the apex and base dark. Their siphunculi are dark truncated conical, and are 1.2-2.3 times the length of the cauda. The cauda is rounded or semi-oval. They often have a wax ring around the terminal abdominal segments - this is not mentioned in the literature, presumably because such deposits are not apparent in prepared slide specimens. Brachycaudus lychnidis has 15-24 hairs on the third antennal segment, the longest of which are 32-53 µm long; the cauda is shorter than its basal width. Brachycaudus klugkisti has 6-15 hairs on the third antennal segment, the longest which are 17-29 µm long; the cauda is about as long as its basal width. 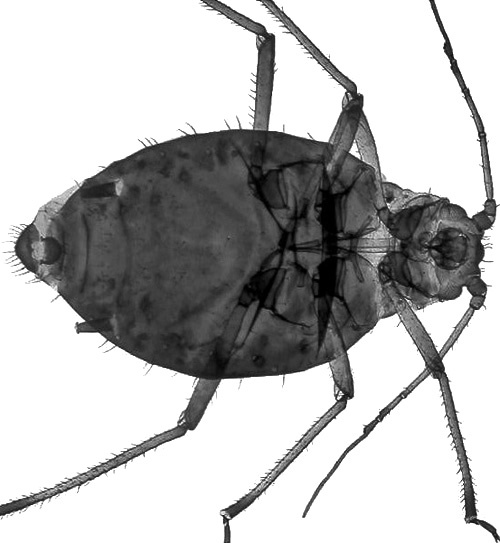 The clarified slide mounts below are of adult viviparous female Brachycaudus lychnidis : wingless, and winged. Beware how you interpret these clarified mounts! In the first three mounts the cauda is bent back on itself, and hence points forwards rather than backwards. In the last mount (alate B. klugkisti) the cauda is orientated normally. The clarified slide mounts below are of adult viviparous female Brachycaudus klugkisti : wingless, and winged. The campion aphids Brachycaudus lychnidis and Brachycaudus klugkisti both live all year on red campion (Silene dioica) and related species. 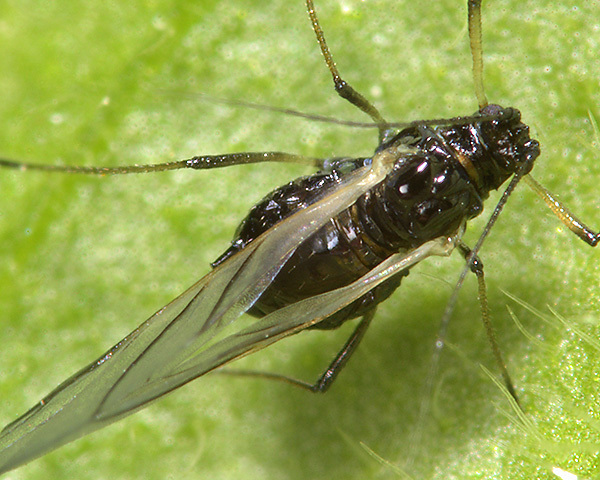 A further aphid species, Brachycaudus lychnicola, also has the same host, but lives at the base of the plant. 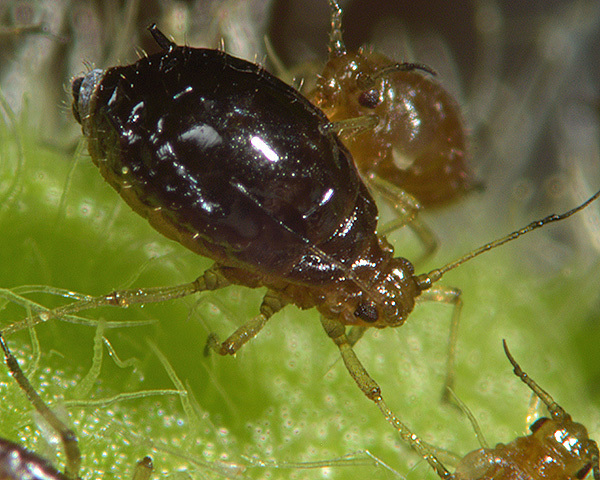 All the aphids we have found on campions have been living on the upper parts of the plant. Oviparae and apterous males are produced in October. Both Brachycaudus lychnidis and Brachycaudus klugkisti are found in Britain and over most of Europe, with the former species extending eastwards to western Siberia. Blackman & Eastop list 10 species of aphid as feeding on red campion (Silene dioica) worldwide, and provide formal identification keys. 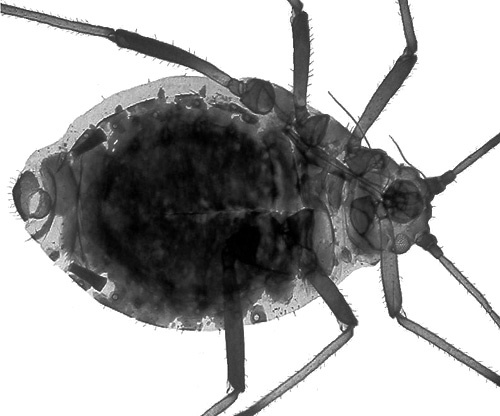 Of those aphid species, Baker (2015) lists 9 as occurring in Britain: Aphis fabae, Aphis sambuci, Aphis solanella, Aulacorthum solani, Brachycaudus klugkisti, Brachycaudus lychnidis, Myzus ascalonicus, Myzus cymbalariae Myzus ornatus and Myzus persicae.